79 Clay Street, Apt. 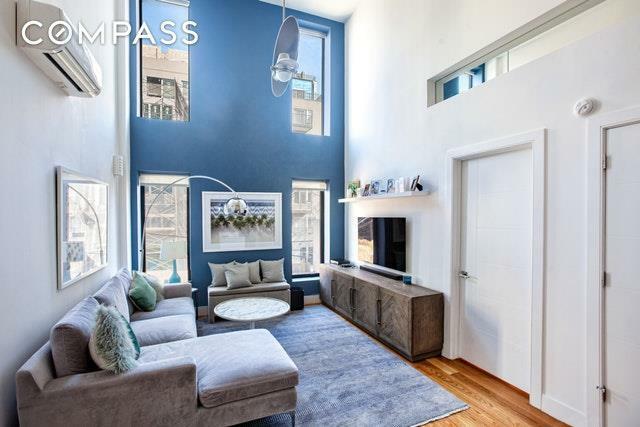 2R is an impressive 2-bedroom, loft duplex with 18-foot ceilings and fantastic light.This magnificent home features ductless heating and cooling systems that provide a simple luxury while being environmentally and economically responsible. 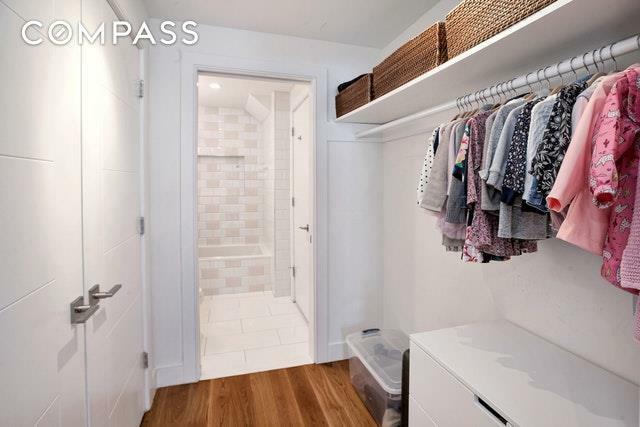 Details include recessed lighting, full-size LG washer and dryer, a large closet and storage. The elegant kitchen has been customized with white lacquer soft-touch cabinetry, grey Caesarstone countertops, and a timeless white subway tile backsplash. Hosts will love the stainless steel appliances including Fisher & Paykel refrigerator, Bosch dishwasher, Bosch 4-burner vented cooktop and range, as well as a stunning chandelier and 48-bottle wine fridge. The master suite is located on the lower floor, with a sizable walk-through closet and a full bath, which includes a deep soaking tub and Honeywell heated towel rail. 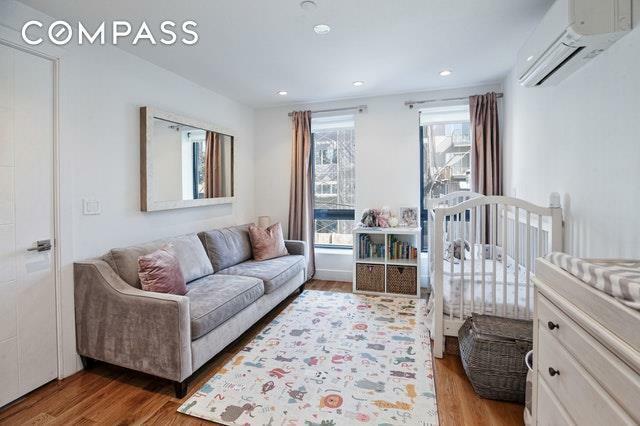 Upstairs is a large second bedroom with generous closet space, terrace and home office.Enjoy an abundance of bars, cafes and restaurants all favored by locals. Sip and savor a cup of joe at Eagle Trading Company, Odd Fox Coffee or Milk & Roses. Indulge in delicious farm to table seasonal restaurants including Glasserie, Le Fanfare and Anella. Other renowned restaurants that attract patrons from the NY Metro area include Oxomoco, Chez Ma Tante, and Paulie Gee's. Lets not forget about Lobster Joint, the top-rated happy hour spot on Foursquare. Unique to Greenpoint, purchase your own handpicked organic and heirloom fruits and vegetables at a farm atop a three-story warehouse, Eagle Street Rooftop Farm. 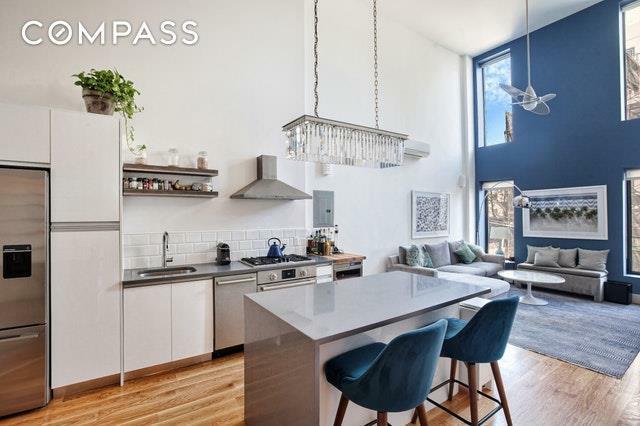 79 Clay is within close proximity to both the G train (Greenpoint Ave) and the 7 train (right over the Pulaski Bridge in Long Island City), as well as the waterfront where you can catch the East River Ferry.